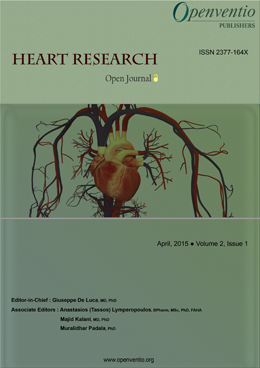 "We have published 4 papers in this esteemed journal and had a wonderful experience each time. The efficient Editorial office made certain that we face no problems along the way. A special thanks to the Editorial team for being so prompt and helpful. We hope this association grows stronger." "Efficient and useful, constructive feedback. Reviewers/editor showing good knowledge. Will recommend to my colleagues or others for submitting manuscripts to HROJ." Nicorandil: What is Beyond the Anti-Anginal Action? 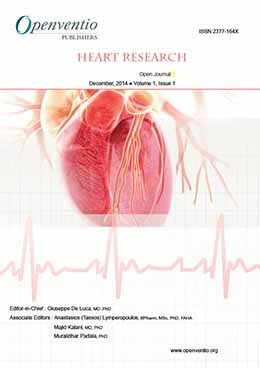 A Comprehensive Cardiovascular Preventive Clinic: Is it a Concept that is Possible to Implement in the Military System? 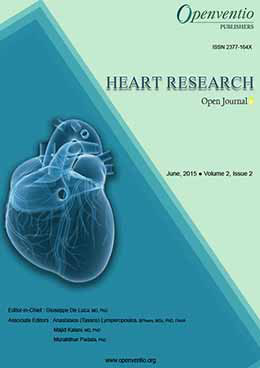 Heart Research – Open Journal (HROJ) exclusively deals with the health of the heart and its disorders. The HROJ aims to provide an open forum to bring healthcare professionals and researchers from clinical, translational and basic science communities together for dissemination and discussion of all things heart related. Progress in understanding how the heart works at every level (from molecules to cells to physiology) has already made significant impact on how heart disease and failure is treated in the clinic, but its disorders still remain one of the leading causes of death and ill-health worldwide. 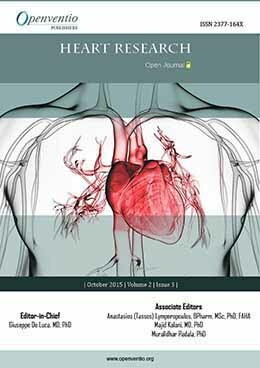 Understanding and increasing awareness of the basic mechanism of heart disease and repair, clinical implications and disease management lies at the core of our journal, and we welcome a broad scope of submissions in these areas. 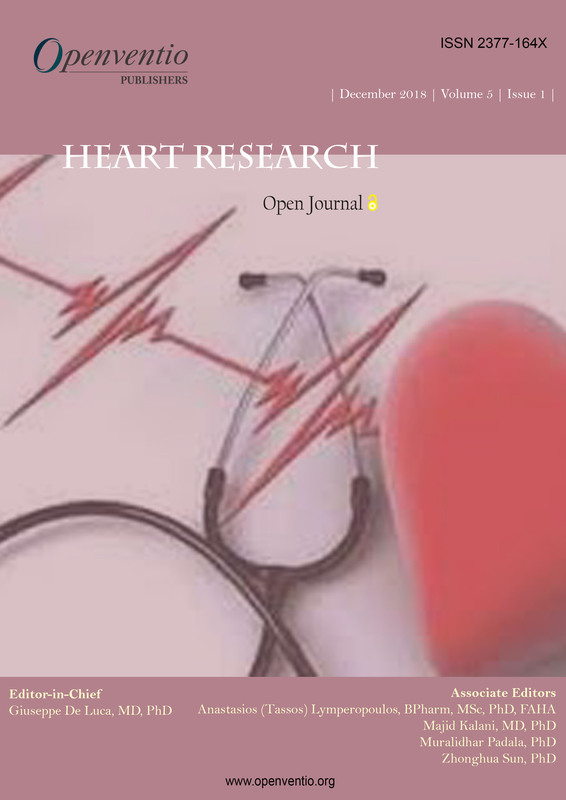 Heart Research – Open Journal (HROJ) is dedicated to the open dissemination and robust discussion in the area of cardiology and its related fields. 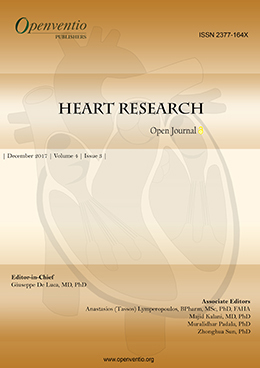 Submissions for this Journal are accepted from the very basic cardiac studies to the latest research. 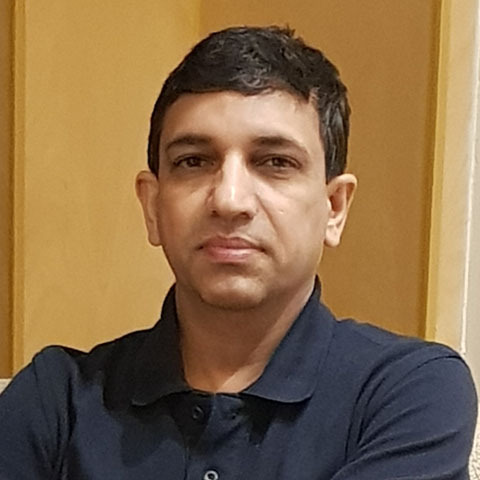 The audience of HROJ includes cardiologists, surgeons, physicians, clinicians, surgical investigators, molecular and translational scientists, pharmacologists, epidemiologists, practitioners, educators, nurse, students and general community. The Journal welcomes all types of articles such as original research, review, case-report, mini-review, editorial, short-communication, book-review, opinion, commentary, letter to the Editor, conference proceedings, technical report, errata, illustrations, etc. We welcome any comments or corrections to improve the quality of our Journal.